In the past few weeks, though, it’s painfully obvious how torn, broken, and messed up our country is, and it’s been impossible to ignore or look past the obvious signs of this. Via the insta (my social media outlet of choice) and other sites, I’ve watched the women’s marches, a local protest crying out for the rights of refugees, some of the most brilliant protest signs and slogans, and also SO MUCH STRESS/OUTRAGE/PROTEST baking. Wait, what? BUT— this “baking to show solidarity with a political issue” is something I can for sure get behind. Some people as of late have chosen to showcase pretty pictures with political captions and messages attached. But if you know me, if there’s an opportunity to bake my way into/about/for something, I’m there. And an Instagram post will be, too. 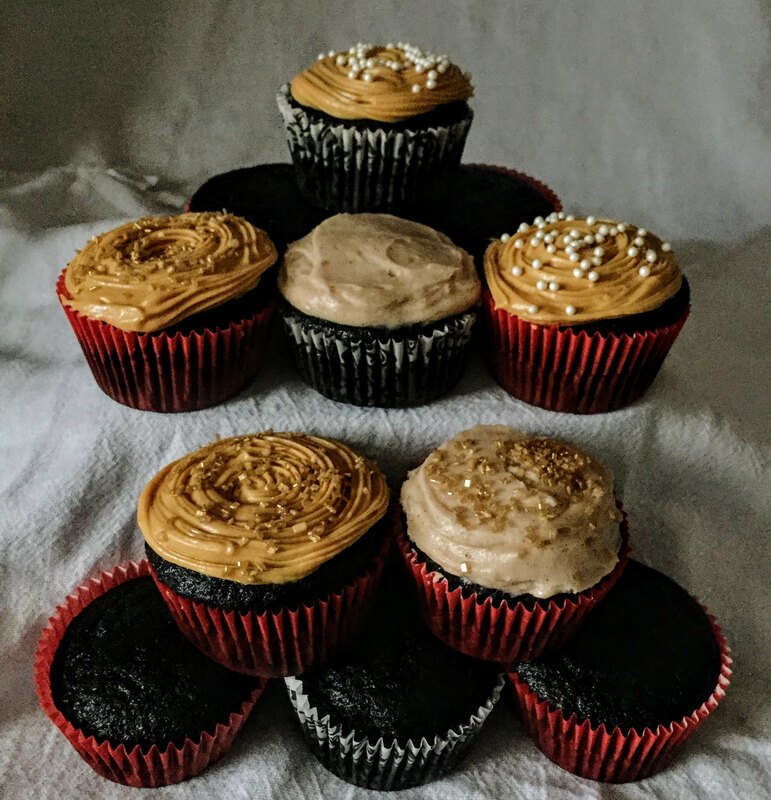 Enter these #nobannowall cupcakes: a chocolatey and spicy cupcake base topped with cinnamon buttercream or dulce de leche cream cheese frosting. *You get to pick!!! * (Or you can be all about that #treatyoself life and go for both!) I first discovered dulce de leche a few years ago, and I love this stuff! I don’t buy it a whole lot, but when I do, it’s time to go all out because it’s AMAZING. 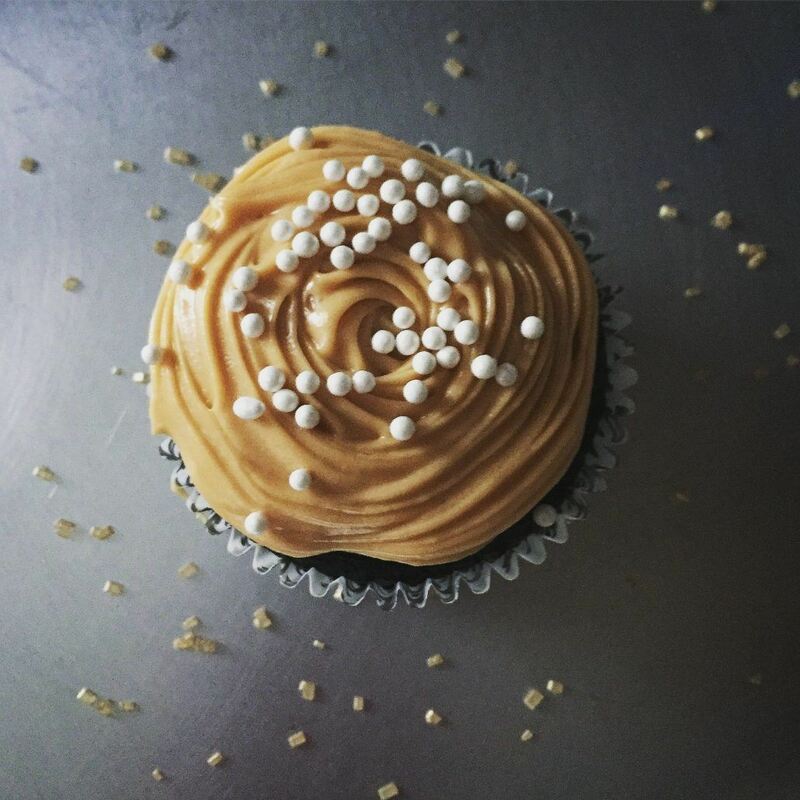 Here’s option 1: topped with dulce de leche frosting! And option 2: cinnamon buttercreamed! Here’s to action, to justice, and to and making Mexico-inspired cupcakes 🇲🇽 🇲🇽 🇲🇽! Mexican chocolate cupcakes with either cinnamon or dulce de leche frosting. Perfect for expressing your political affiliations in a delicious way! Line two 12-cup muffin pans with 16 cupcake wrappers. In a large bowl, whisk sugars, oil, eggs, and vanilla on medium speed until combined. Thoroughly whisk the dry ingredients and the butter milk into the wet ingredients, stirring until smooth. Fill each well in the cupcake pan with a scant 1/4 cup of cupcake batter. Bake for 15 minutes or until a fork inserted comes out almost clean. Allow to cool completely before frosting. Beat the butter on high in a mixer until smooth and creamy, about 1-1.5 minutes. Add the powdered sugar, vanilla, salt, and cinnamon, and begin to beat on low. Gradually add the heavy cream or creamer to help the ingredients combine. Scrape down the sides and bottom of the bowl to ensure that everything is incorporated. Once your batter is smooth, whip on high for 1.5-2 minutes until fluffy. Frost or pipe onto cupcakes. Beat butter and cream cheese on medium high speed until smooth, about 1-1.5 minutes. 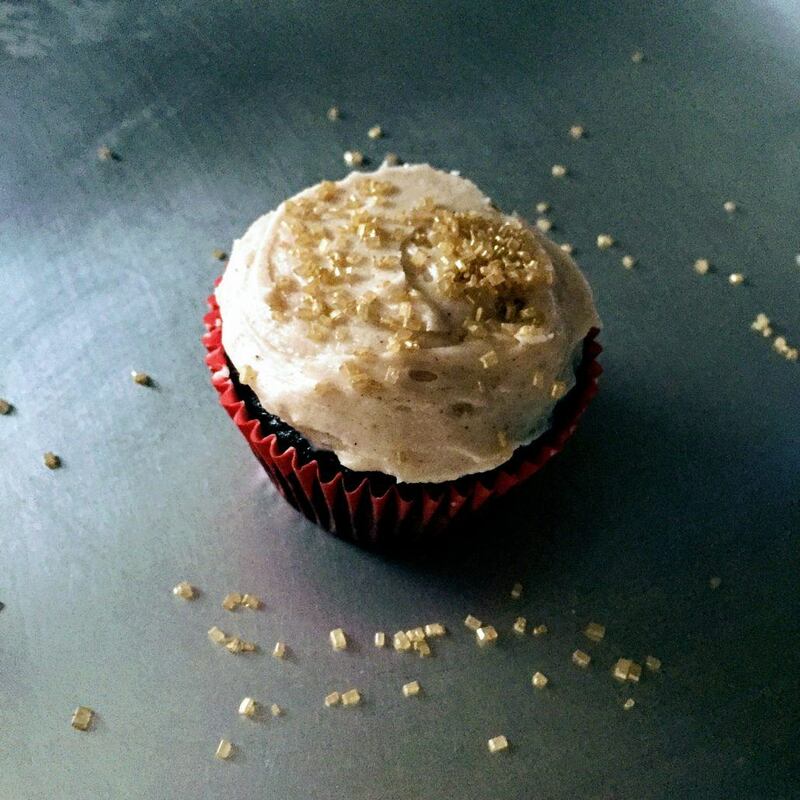 For a more prominent level of spice and 'bite' in your cupcakes, add 1/4-1/2 teaspoons more of chili powder to the batter. 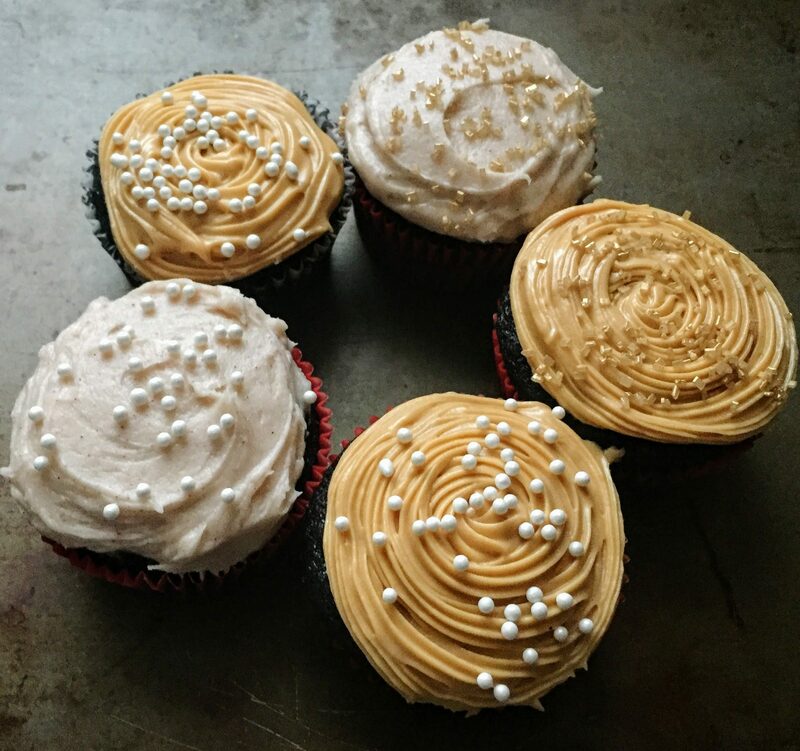 You can choose to make one kind of frosting or both for these cupcakes! If you make both kinds, you will have extra! I also added sprinkles on top for a fun touch!